Stay kool in the summer heat with Kiwi Lemon Kool 60ml Vape Juice by IV G, a sweet blend of juicy kiwi and tart lemon with a hint of refreshing menthol. Kiwi Lemon Kool Vape Juice is made with a 70VG/30PG ratio and is compatible with your favorite sub-ohm device. 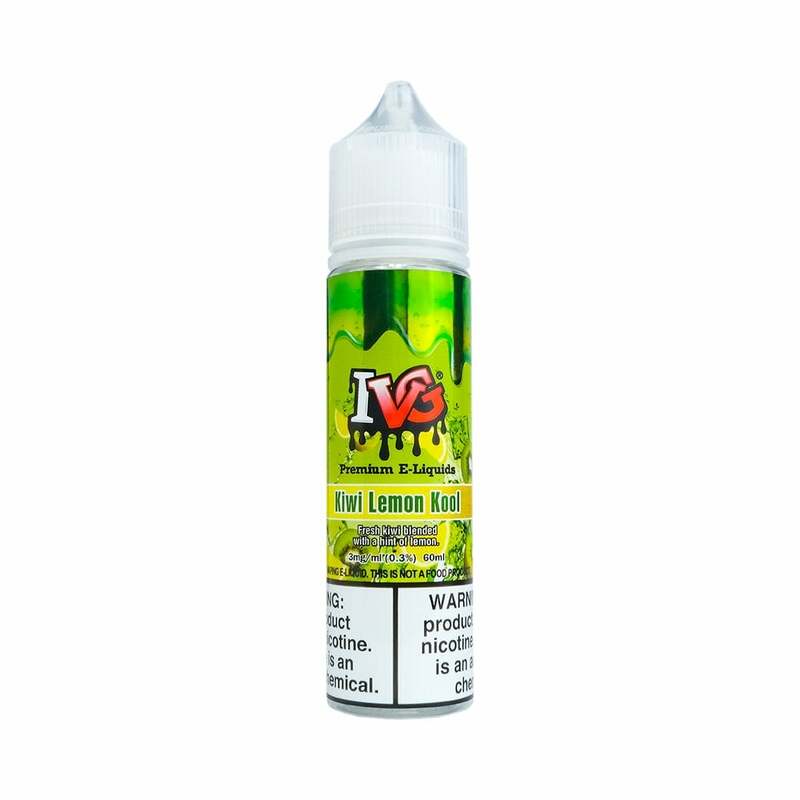 I VG Kiwi Lemon Kool Vape Juice is available in 6mg (.60% nicotine), 3mg (0.3% nicotine) and 0mg (nicotine free).